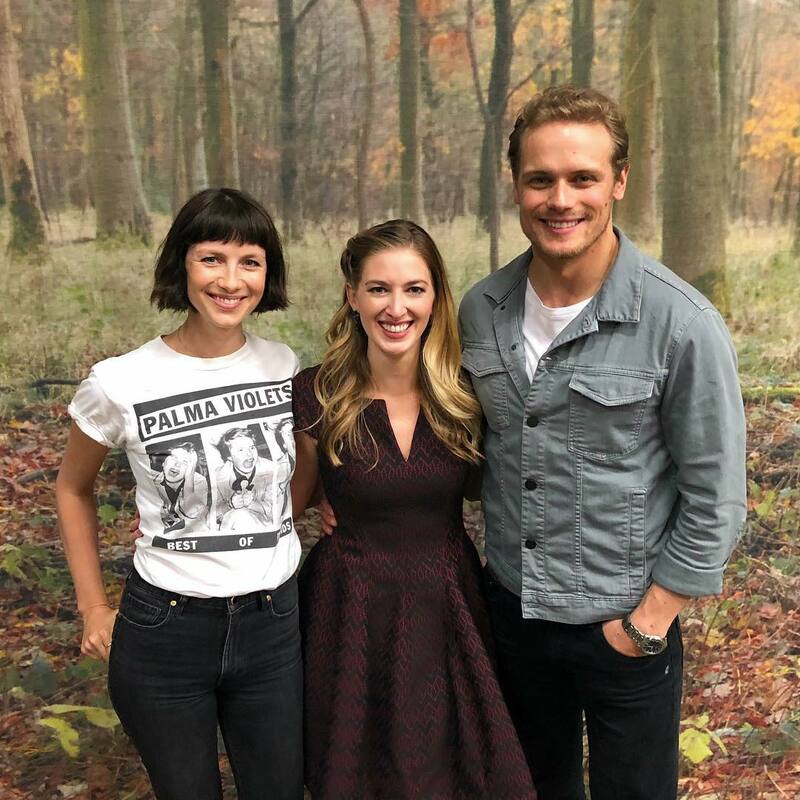 Here’s a new pic of Sam Heughan, Caitriona Balfe and Leanne Aguilera on the set of Outlander. leanneaguilera Had a wee bit of fun with the this stunning Sassenach and The King of Men on the #Outlander set today in Scotland! I can’t share more just yet, but I promise ye will be verra, verra pleased! Fabulous picture of you 3! Absolutely love the picture above. Three beautiful people – beautiful smiles. A keeper for sure. Thank you for sharing. Sam and Caitriona always the best.